Bangkok, Thailand, March 27- April 7, 2019- Delta Electronics (Thailand) PCL. Electric Vehicle (EV) charging solutions supported EV test driving, to raise public awareness of e-mobility, at the Bangkok International Motor Show 2019. Delta’s 25kW DC Wallbox EV Charger was used to fast charge the international best-selling EV of a global manufacturer at the test drive zone in IMPACT Exhibition Center. EV and low-emissions car models were a major feature of this year’s 40th edition of the Bangkok Motor Show. Delta provided its DC EV quick charging solutions with technical support for installation and operation throughout the event. 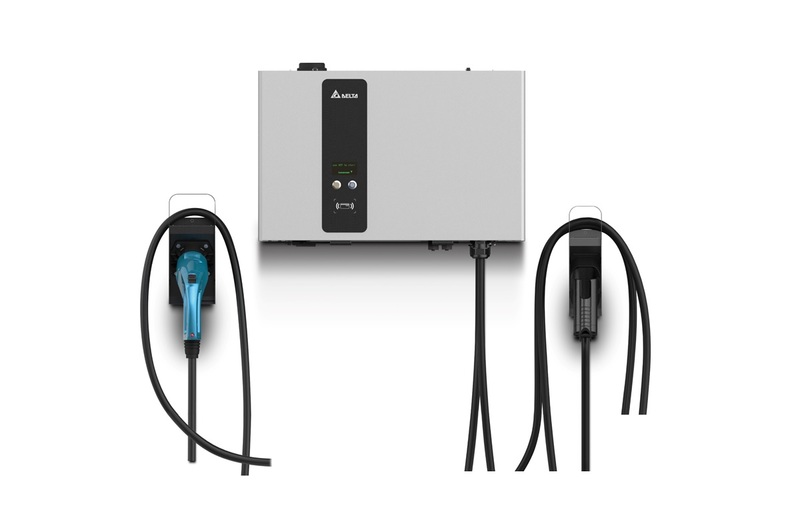 The DC Wallbox EV Charger provided customers with an excellent demonstration of how convenient public EV charging can be. Delta is working to install DC fast charging solutions at car dealerships and other public sites to accelerate electrification nationwide. Delta’s participation in the ten-day event is part of its ongoing effort to educate consumers in Thailand on the benefits of EV charging and to promote increased uptake. Throughout the region, Delta’s charging solutions are offering efficient, safe and fast charging experiences to EV drivers in Asia, India, Australia and New Zealand. As a Thai-based green solutions provider, Delta drives innovation in e-mobility to support development in the EV industry and encourage EV adoption in Thailand. Delta offers EV charging and technical support at motoring events, educational roadshows and test drives to encourage the public to embrace EVs and deliver on its brand promise: Smarter. Greener. Together.